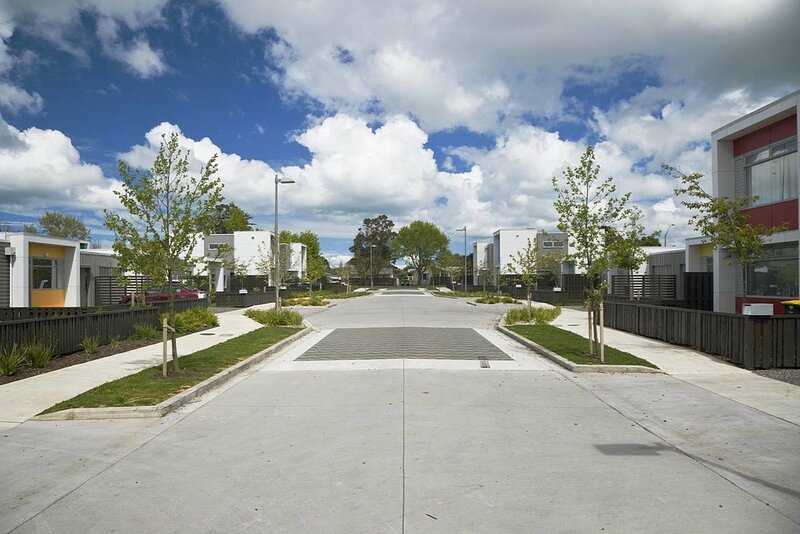 The brief required redevelopment of a strategic Mangere site well located to local community facilities. Existing houses were removed to create a ‘brownfield’ site. 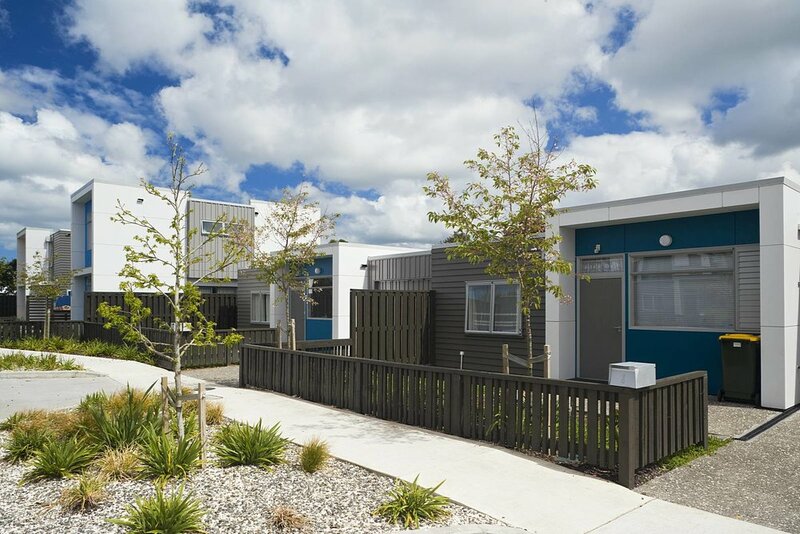 The completed development consists of a variety of new houses for a diverse range of tenants designed to latest HNZC standards. Site density has been more than doubled. 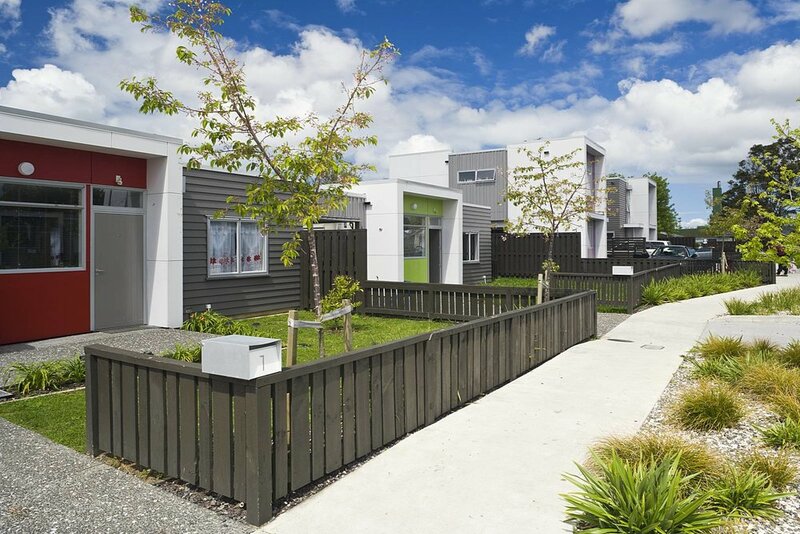 The creation of a ‘homezone’ provides permeability and neighbourhood focus. This landmark development creates a safe and sustainable community precinct that embodies best practice urban design and social housing principles.